A casual photographic stroll during a work break led to threatening swoops by three territorial noisy miners. These birds are often seen mobbing to chase away competitor or predators, such as brush turkeys, ibises, cormorants and even large mammals like dogs and cattles. Oh, and humans. 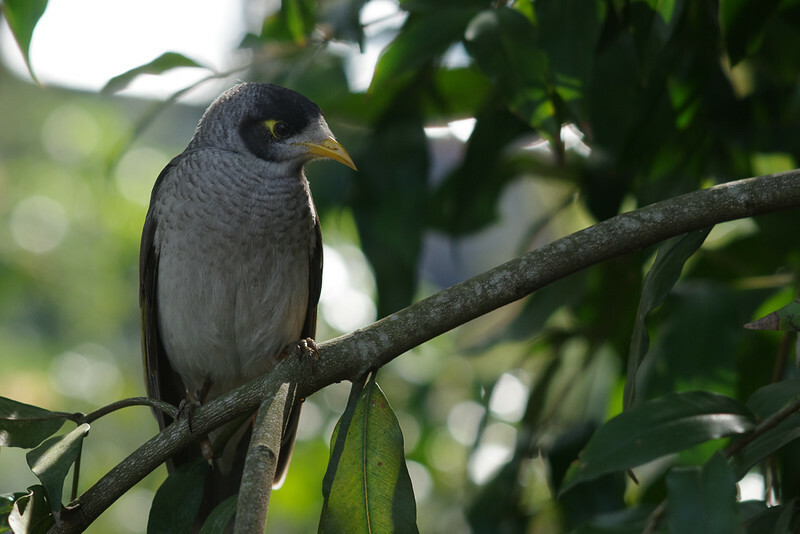 Noisy Miner (Manorina melanocephala). Takumar 135/3.5.